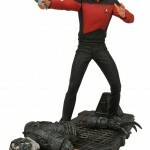 Star Trek fans who have gotten the chance to play with the first two figures in the Star Trek Select action figure line have been waiting for their chance to get their hands on the next one, and he’s almost here! 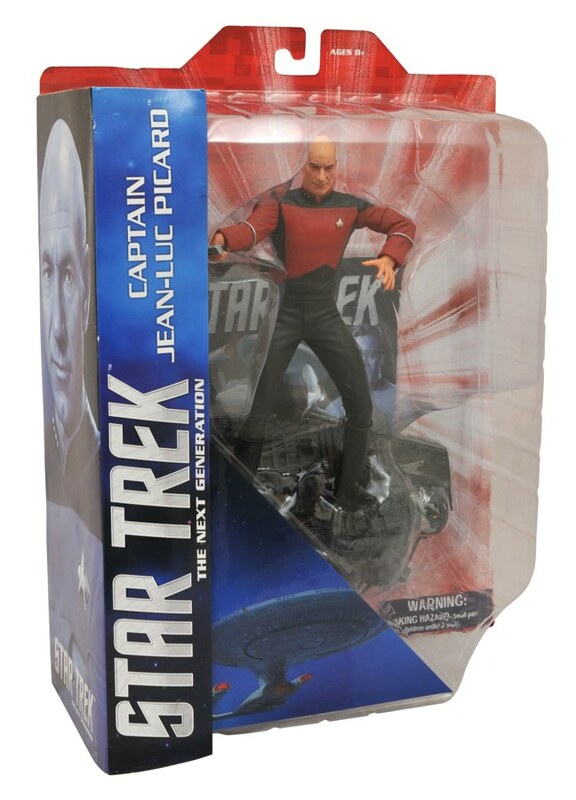 Captain Jean-Luc Picard, from Star Trek: The Next Generation, will be joining the original series’ Captain Kirk and Mr. Spock in the 7-inch scale, and we’ve got packaging shots! 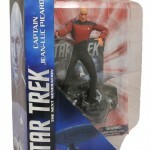 Dynamically sculpted by Patrick Pigott, Art Asylum’s lead Star Trek figure sculptor since 2003, Picard’s default stance is firing a phaser at an unseen foe, but seven points of articulation in his upper body allow him a wide range of expressive poses. 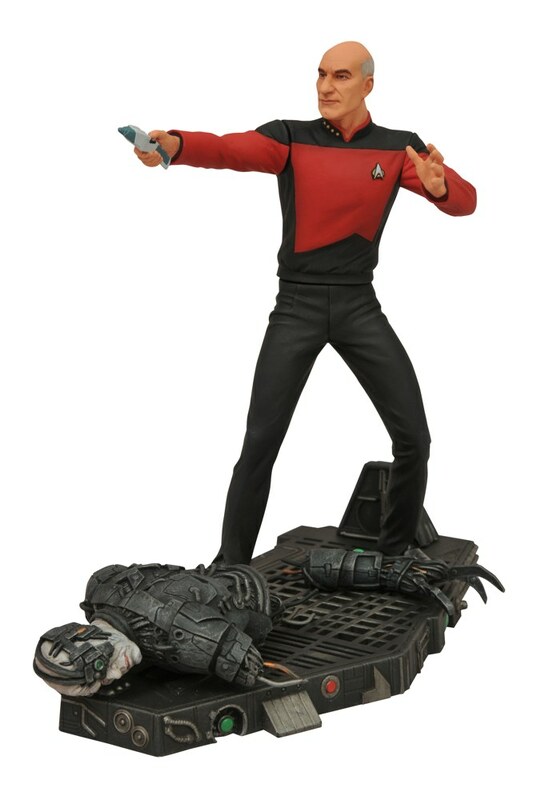 Also, his hands and legs are interchangeable with other figures in the Select line, which means you’ll be able to give him Mr. Spock’s classic Tricorder and Phaser. He stands atop a base representing the interior of a Borg cube, and the torso and arm of an exploded Borg rests at his feet. 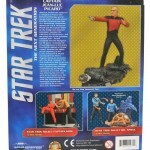 The parts are also removable from the base, so you can take them back to the Enterprise for study when the figure hits stores in late December. Then, when Picard gets back from his mission, it’s time to kick back and relax at Ten-Forward, with the new Star Trek: TNG Silicone Tray. Hitting stores around the same time as Picard, you can fill it with water, chocolate or gelatin to make a frosty drink or a tasty snack, all in the shape of the Starfeet Insignia and the Enterprise-D! Make it so! 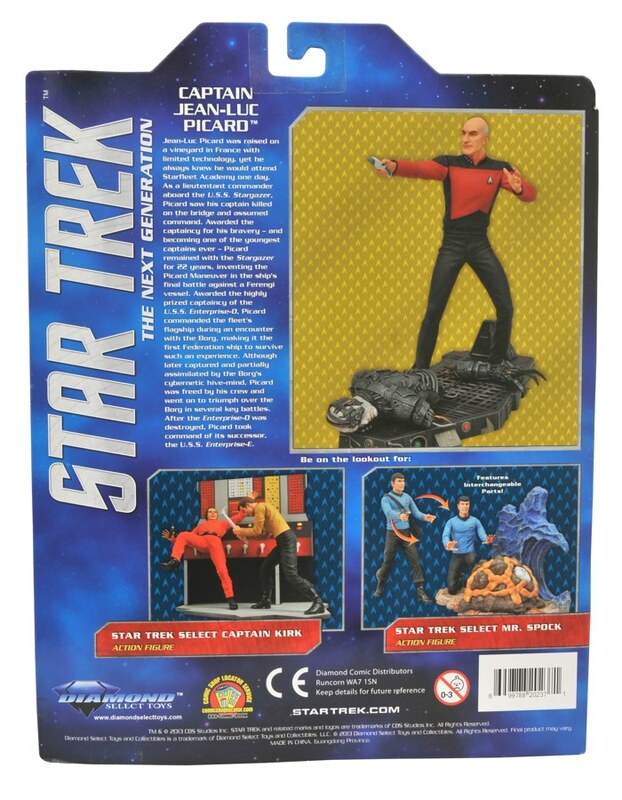 Reserve your Picard and tray today at your local comic shop or favorite online retailer! Next Up: Ask DST #234: Thanks for the Miscellaneous! 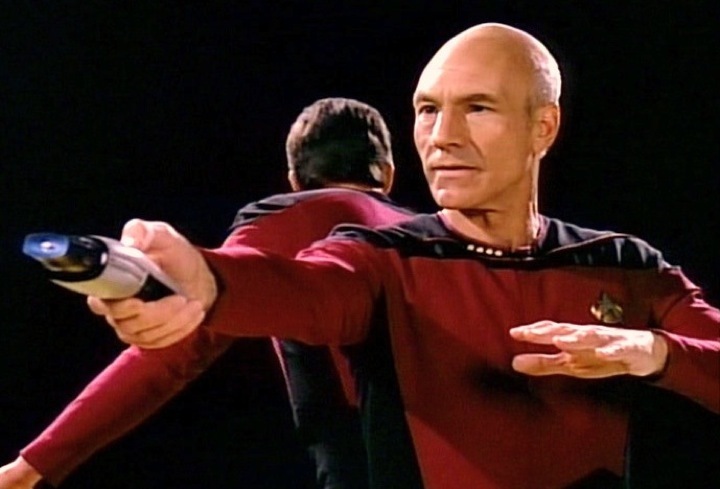 Star Trek Select Picard Beams Down Today!